A Stylish and Seductive Self-Defense Ready Dress! Dutch designer adds detection and defense devices to “Spiderdress” offering. 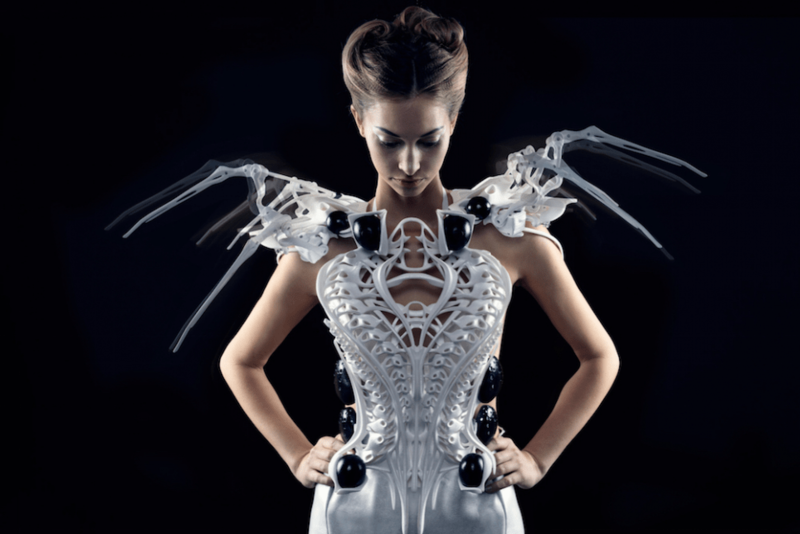 Wearable technology would handily win the title of Emerging Technology of 2014 if not for the existence of 3D printing. Both have leapt forward this year in terms of price, variety, media attention and public acceptance…and both are poised to take 2015 by storm. Dutch designer/engineer Anouk Wipprecht plans to introduce a wearable this January that may place wearables in pole position for next year’s race. 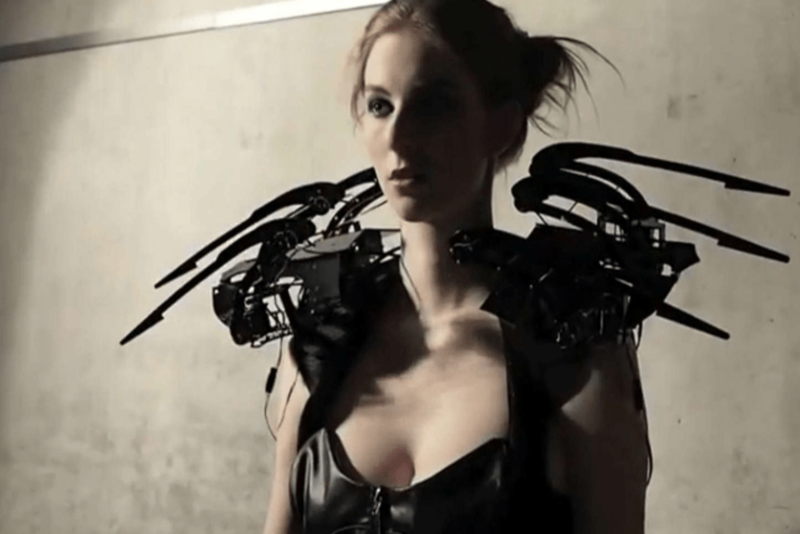 Wipprecht’s “Spiderdress” exemplifies the trend of wearable technology. It’s an article of clothing that integrates robotics and sensors to give the wearer capabilities she wouldn’t have otherwise. In this case, the charmingly creepy Spiderdress is a self-defense aid that applies two kinds of sensors. The first tracks and analyzes body language and behavior out to a range of seven meters. The second tracks respiration to check if that presence makes the wearer nervous. If so, it jabs the interloper with a plastic leg to not-so-subtly suggest he create some distance. The 3D printed bodice of the dress is light enough to wear for an event, but not on a long trek. Its defensive arms are arrayed to look like its namesake arachnid, down to sensor pods designed to look like eyes. Clothing like the Spiderdress refines the concept of self-defense and expands it with the new miniaturized devices and expanded capacity the wearables trend brings to the party. This is not Wipprecht’s first foray into weird science clothing that seems like something out of a comic book. Other examples of her work include a dress that makes the wearer immune to electrocution and clothes that detect the wearer’s mood and display. The Spider Dress will be unveiled to the public at the 2015 CES Convention in Las Vegas on January 6-9.